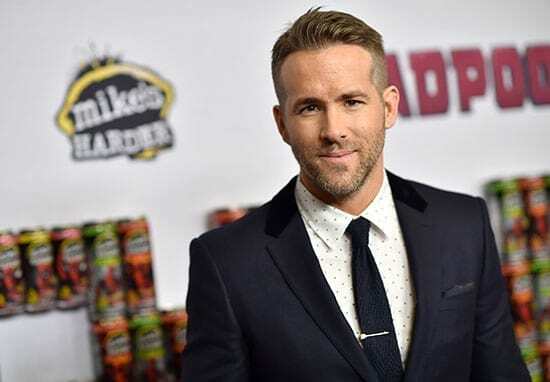 Ryan Reynolds is very clearly the king of internet banter and today, (May 9), he’s proved it once again by brilliantly roasting The Avengers in a savage letter. 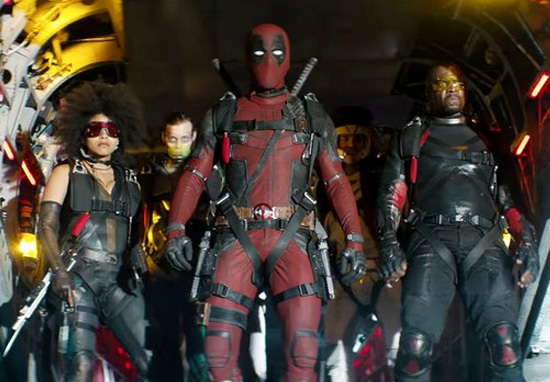 It isn’t long until the highly anticipated sequel Deadpool 2 is released in cinemas, which is likely to end the reign of the record smashing Avengers: Infinity War at the top of the box office. With excitement building around the film, when it hits cinemas next week, it’s incredibly likely social media will be filled with spoilers as people decide to ruin the fun for others. And as Wade Wilson realises, spoilers are the worst and so, he wrote a letter to all his fans encouraging them to keep the secrets to themselves. However, because he doesn’t actually have any social media himself the ‘Merc with a Mouth’ got actor Ryan Reynolds to share the note on his Twitter page. To the greatest fans in the whole universe. We have embarked on the ‘Deadpool 2: This Is Kind Of Your Guys’ Fault’ World Tour. Almost everyone in the film has given Maximum Effort the past two years maintaining the highest level of super secrets, like how David Blaine catches bullets in his mouth. And the secret blend of 11 herbs and spices in Colonel Sanders’ delicious moustache. Only a handful of people know the film’s true plot. One of them is not Ryan Reynolds. We’re asking that when you see Deadpool 2 you don’t say a f***ing word about the fun sh** in the movie. Cause it’d be super lame to spoil the fact that Deadpool dies in this one. Kidding. Not kidding. Kidding? Godspeed. After Deadpool signed the letter with his trademark red cross, he finished by giving us the hashtag: #WadeWilsonDemandsYourSisterSorryStupidAutoCorrectSilence which I suppose we must use when discussing the film. Now that’s going to take up a lot of our precious Twitter characters! As you film fans may notice, not only does the letter applaud those who worked hard on making the film, but it’s also a hilarious parody of the note written by directors – the Russo Brothers – before the release of Avengers: Infinity War. 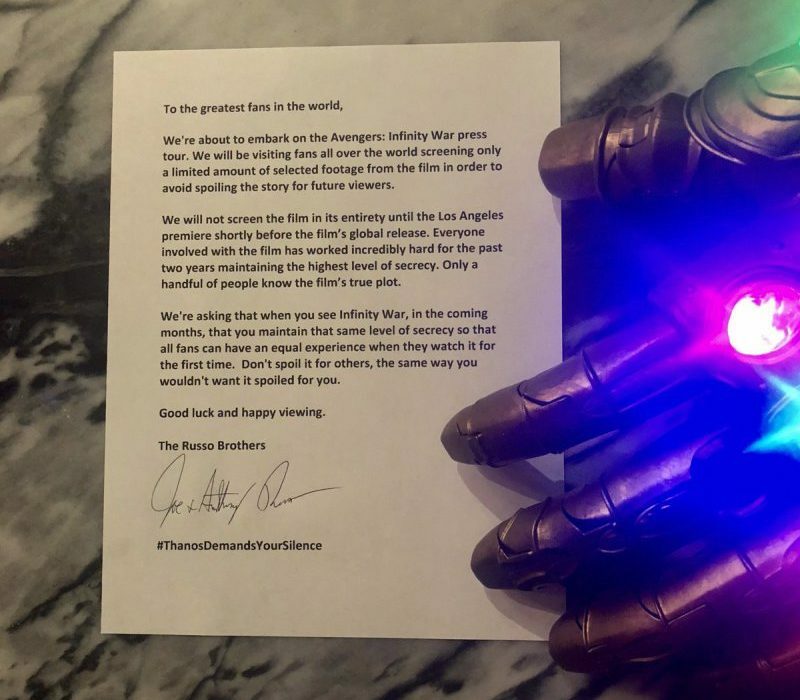 Debuting the hashtag #ThanosDemandsYourSilence, fans were asked to be mindful of others when reacting to the film. We’re about to embark on the Avengers: Infinity War press tour. Everyone involved in the film has worked incredibly hard for the past two years maintaining the highest level of secrecy. Only a handful of people know the film’s true plot. Everything down from the words themselves, to Thanos’ Infinity Gauntlet covered hand placed on the paper, has been parodied by Reynolds. It’s just brilliant and we can’t wait to see the ‘fun sh*t’ Deadpool 2 has in store for us! Deadpool 2 will open in UK cinemas on May 16. It will be released in US theatres May 18.